Let Las Vegas sightseeing tours give you a break from the Strip action for a day or at least for a few hours. For a refreshing change of pace see an entirely different, peaceful southern Nevada. There is a lot to in the desert that surrounds Las Vegas. You can choose from a great many attractions, among the most popular destinations are Hoover Dam, Grand Canyon, A Colorado River Float, Red Rock Canyon and Valley of Fire. It is impossible to fit all of them into a single Las Vegas visit. Perhaps our short guide will help you decide which of these Las Vegas sightseeing tours appeals to you most. The Hoover Dam was built during the Depression years, when thousands of men and their families came to Black Canyon to tame the Colorado River. In less than five years they erected the largest dam of its time. Today it still stands as a world-renowned structure. With close to 1,000,000 visitors a year, the Hoover Dam is the most popular destination for Las Vegas sightseeing tours. Standing 725 feet above the Colorado River, Hoover Dam is a sight not to be missed. 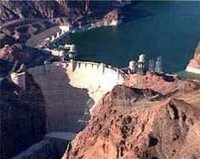 The dam is about 30 miles southeast of Las Vegas on Highway 93 at the Nevada-Arizona border. If you go by car from Las Vegas, take I-515 southeast, it becomes US 93 which takes you to the dam. There is a parking garage, the fee is $7. A less stressful way to explore this massive man-made structure might be to take a Hoover Dam Motor Coach Tour. Once there, you can also do the Hoover Dam Discovery Exhibition on your own. You will hear a lectured presentation by professional guides, access to the Exhibit Hall, Visitor’s Center, the indoor/outdoor observations decks and a 25 minute movie on the dam’s original construction. Admission for Adults (Ages 17-61) $11.00, Seniors (over 62) $9.00, Juniors (Ages 7-16) $6.00, Children (Ages 0-6) Free. The Grand Canyon, carved by the Colorado River and its tributaries, is about 277 miles long and is largely contained within the Grand Canyon National Park in the state of Arizona. The canyon ranges in width from 1/4 mile to 15 miles and is up to one mile deep. If you’ve seen pictures, but have never actually been to the Grand Canyon, the sheer majesty and beauty of the most famous natural attraction in the USA is unsurpassed. About five million people are attracted to the awe-inspiring views of the Grand Canyon each year. The best lookout points with amazing panoramic views that spread out for miles are located at the South Rim. The South Rim is also the easiest accessible by Las Vegas sightseeing tours. All kinds of Las Vegas sightseeing tours offer to show you the Grand Canyon. If you only have one day in which to experience the spectacular sights of this natural wonder, I suggest you consider booking a Grand Canyon Fly and Drive tour. A click on the link gets you all the details. Or, if you’re a bit more adventurous, the same link lists several other Grand Canyon tours for your consideration. The trip is an exciting adventure, yet at the end of the day you’ll be back in your comfortable Las Vegas hotel. For extensive, detailed information about the Grand Canyon, visit the web site of U.S. National Park Service. Want to get away from the hustle and bustle of the casinos for awhile? Then consider this Las Vegas sightseeing tour: A tranquil rafting float trip down the Colorado River will be a totally different experience. Colorado River Float Las Vegas sightseeing tours are not wild white water trips. 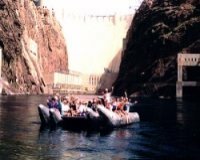 Most raft trips begin at the base of the Hoover Dam; the view of the dam from this perspective is not available anywhere else. Most likely there will be an interesting narration on the history of the Hoover Dam and the Colorado River. As your raft leisurely floats down a calm 12-mile stretch of the river, an expert guide explains the sights and directs your attention to soaring birds of prey, gravity defying bighorn sheep, unexpected waterfalls, bubbling hot springs and other wonders of nature. You can expect your guide to be an accomplished outdoors person with a background in natural history and the ability to make your rafting trip a memorable experience. There will probably be a stop at a sandy beach where, on a hot day, you can take a dip and cool off. After a few hours on the water, you’ll be ready for lunch, which is usually included in the tour price. If you take a Colorado River float tour during the months of April to October, the desert sun can be strong, protective head gear and lots of sun block is highly recommended. This Las Vegas sightseeing tours destination is only about 15 miles from the strip, but what a change in scenery! Red Rock Canyon encompasses 197,000 acres within the Mojave Desert and offers an incredible display of red sandstone layered through gray limestone against tall sheer cliff faces, some as high as 1,800 feet. This is an area of unsurpassed beauty and of world-wide geologic interest. Wherever you look, there are breathtaking views. Nature lovers and photographer’s will be delighted – all of Red Rock Canyon is an outdoors person dream come true. Red Rock Canyon’s scenic beauty has been the backdrop for many movies. If you visit by car, there is a 13-mile scenic drive with numerous stops for sightseeing and photography. Hiking trails are accessible from designated pullouts and parking areas. On this Las Vegas sightseeing tour you will also have a good chance of seeing big horn sheep, wild horses, and wild burros. Be sure not to miss the visitor center, located at the start of the loop road, it is the focal point for visitor orientation. The 7,600 square foot facility offers information and interpretation about recreation opportunities, wildlife, vegetation, geology, history, cultural resources and much more. Valley of Fire State Park, 55 miles northeast of Las Vegas, is loaded with vibrant color, fantastic rock formations, and ancient Indian petroglyphs. On this Las Vegas sightseeing tour you’ll see petrified sand dunes sculpted into amazing shapes and contours only wind, water, and time could create. In this, Nevada’s oldest and largest state park, the rocks and cliffs are ablaze with vivid colors throughout the day and even more so at sunrise and sunset. It’s one of the best Las Vegas sightseeing tours for experiencing the magnificent backdrop of the Mojave Desert while learning about many Native American cultures. 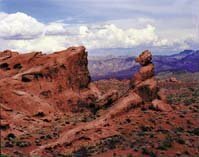 There are numerous examples of ancient Indian Art in the Valley of Fire. Other popular activities include camping, hiking, picnicking and photography. The park is open all year and features a full-scale visitor center with extensive interpretive displays.